Runners and joggers are nothing new, even to the trail, but that doesn’t mean they won’t need to replace their old jackets, especially if they are daily runners. And, let’s be honest, the runners who have taken to the trail must have a hard time not going out every day, every chance they get, for the views and sites they get to experience are something some only dream of. 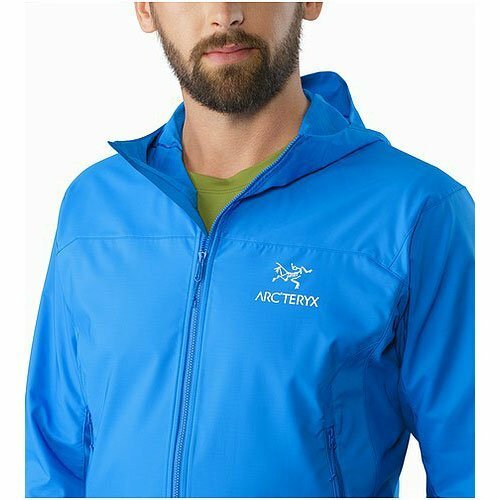 For these everyday runners, these true adventure-seekers, we present our top Arcteryx jackets for trail running. 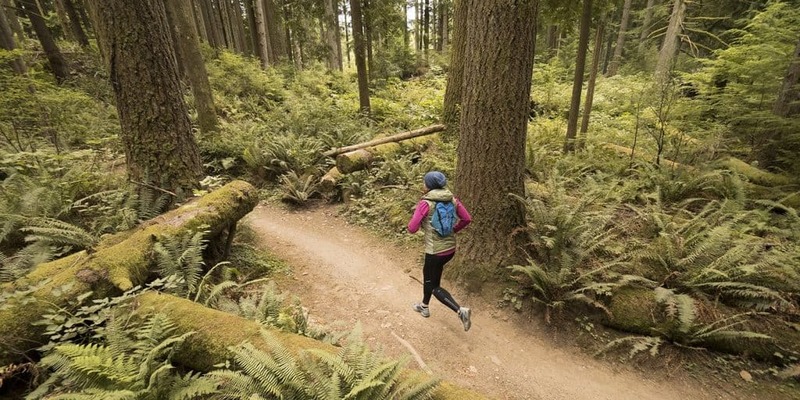 When selecting a jacket for trail running, one seems to look for one that is lightweight, breathable, and comfortable. The Norvan jacket line addresses, and solves, all these problems, even if it is a bit pricey. The Norvan line is a minimalist design but doesn’t lack in durability, thanks to the GORE-TEX material it is constructed with. It is also waterproof, ensuring a dry and warm run even in the rain, along with being quite strong against windy conditions. 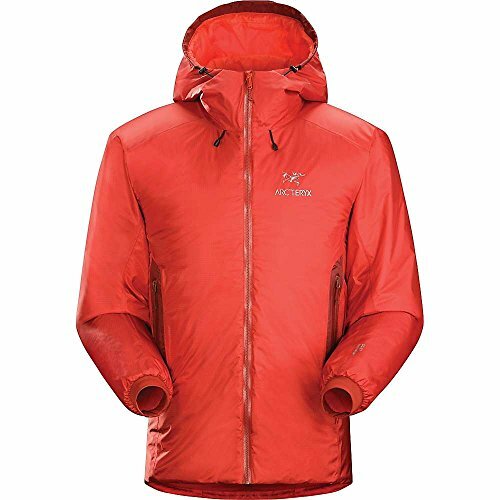 At only 7.5 ounces, this jacket won’t weigh you down and might be the perfect light jacket for backpackers, as well as trail-runners. 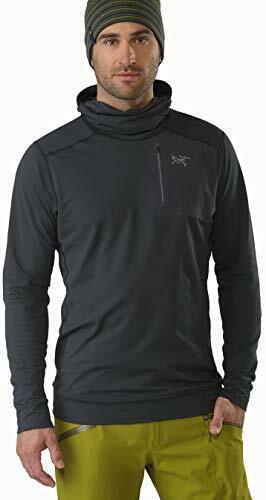 For runners that prefer a fleece design over GORE-TEX, or those just looking for a jacket for colder days and nights, it doesn’t get much better than the Aptin Zip Hoody. It is a more than competent design that provides comfort and breathability at a decent price. The Aptin Zip is made using both Power Dry and Polartec technology, meaning optimum moisture transfer during the sweatiest of workouts. The chest and arms are fitted with Akrose, a lightweight woven material, making it perfect for fall and winter months. Because of its great performance in cooler seasons, this jacket doesn’t weigh as little as some, but we think the trade-off is more than fair. A design that is extremely lightweight, comfortable, wind and water resistant, and still keeps proper breathability in mind seems like it would be expensive. 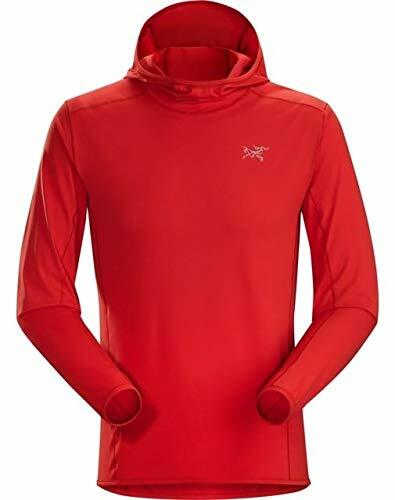 With the Incendo Hoody, that isn’t the case, as this product has a modest price tag. The Incendo really has a lot to offer, including being constructed with hyperlight Lumin fabric, a material that gives it its wind and water resistant capabilities while offering optimum ventilation. One of the best features of the Incendo design is the dynamic movement, offering full freedom of movement, while its ergonomic trim fits the body and doesn’t stray. This jacket, despite only weighing 4.4 ounces, also comes with a hood to help with wind and rain. For the people who love the trails and backcountry but like to take a slow pace, this list is for them. Running trails, after all, can seem like a workout when some people just want to have fun, take their time, and overall just take their time. 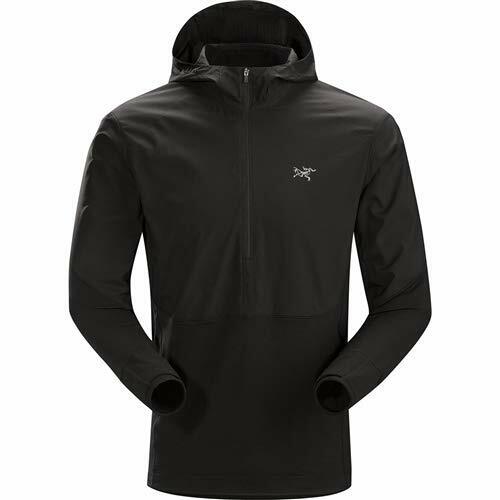 Arcteryx, like trail runners, has hikers in mind too. 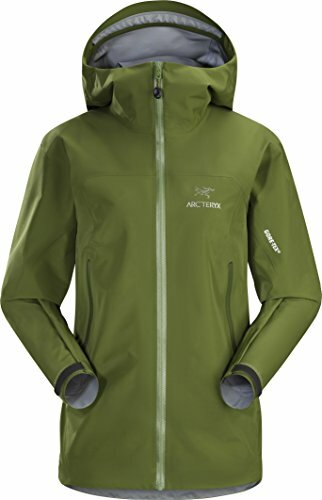 From perfect weather to wetter conditions, and from high-altitude hikes to ones closer to sea-level, there is something for every experience level when it comes to Arcteryx jackets. 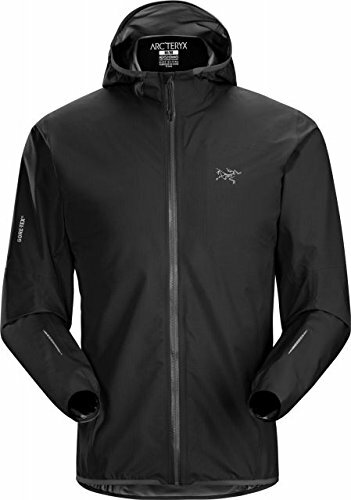 A sleek design with many features, the Zeta LT jacket might be the perfect choice for both new and experienced hikers looking to replace their old gear. Made with GORE-TEX, a material known for its incredible ability at being waterproof and highly breathable, this jacket is designed with the user in mind. The Zeta LT features a minimalist design with a trim that stays close to the body yet allows room to add some light layers. The stitching of the sleeves and underarms provides plenty of freedom of movement, not allowing much constriction like other jackets. This jacket is made for those who like to carry light or are planning long adventures and need variety. At only 11.8 ounces, the Zeta LT offers great comfort, durability, and protection for under a pound. It also comes with a hood to better help battle rain and wind but allows better peripheral views than similar hoods. For those seeking a softshell and breathable design that still performs in cool and windy conditions, take a look at the Tenquille Hoody. Featuring a versatile and lightweight build using wind-resistant Kauss material that is topped with a water-repellant finish, this jacket might make past jackets seem quite lackluster. Because of its construction and weight, only 10.2 ounces, the Tenquille is made for almost every occasion. It’s easy to pack and, because of specially designed elbows and gusseted underarms, freedom of movement is free and unrestricted. The Tenquille, already great with advanced weather conditions, comes with a hood made with the same water-repellant finish as the rest of the jacket. The pockets, one on each side, are of a minimalist design but offer adequate pocket-room. Basic but affordable, the Phasic Sun hoody is a simple minimalist design that allows optimum breathability and a weight that is extremely light. At only 4.9 ounces, it’s an ultralight backpacker’s dream. Perfect for hot hikes both long and short, the air flow in the Phasic Sun is rivaled by few. Despite its durability, it’s not waterproof or resistant, so another jacket is recommended when rain is in the forecast. Either way, if rain cannot be avoided, some will take solace in seeing how quickly the jacket tends to dry. 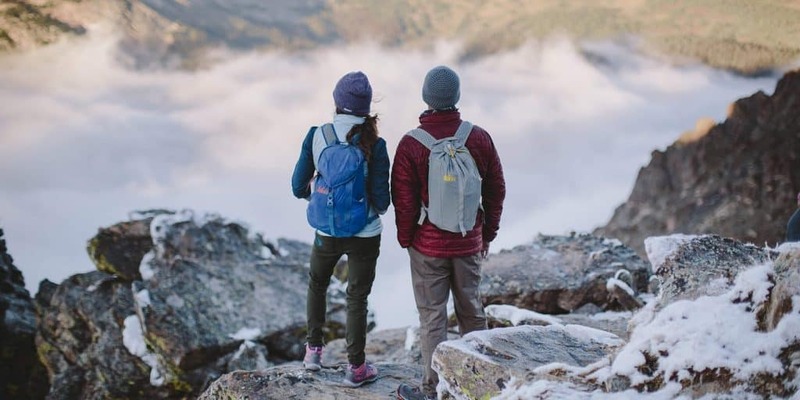 For those that just can’t find enough adventure hiking, not to mention adrenaline, snowboarding and skiing are common activities to cure such cravings. Extreme winter sports aren’t just fun, they also offer a truly unique take on the views and wildlife found in the great outdoors. For these thrill-seekers, however, a simple windbreaker won’t do it. 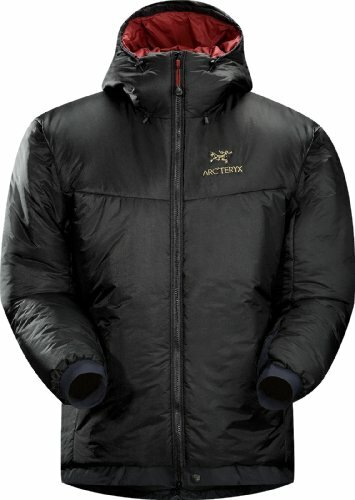 These people need a jacket that truly performs and, thanks to Arcteryx, there are plenty of options. Warmth and resistance to harsh weather are important with any jacket meant for sports, your body becoming useless if not properly maintained. The Stryka line of hoodies is designed well for such an experience while keeping your body able to move freely. The body of the Stryka is trim-fitted to help fit all shapes and sizes while the torso is straight cut with a wide hem that hugs the body. The sleeves are not bulky, lean in fact, ensuring comfort and versatility. Wearing a base-layer under a lighter jacket can offer ample protection and warmth but some skiers and snowboarders want an all-in-one, single layer solution. They don’t want to bother with layers. They just want to get back on the mountain to shred. The Tauri jacket is just that, a single layer jacket that can stand up to cold and stormy conditions without being too bulky. The Tauri really is designed with technology that will keep people warm and comfortable, like the Coreloft synthetic insulation, which keeps thermal performance at a high. 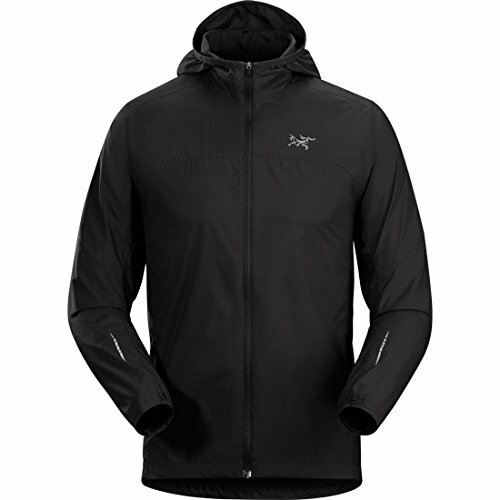 The outside uses warm and breathable Gore-Tex, a material that is both water and windproof. As protective as the Tauri jackets tend to be, they are not stiff. Once again, Arcteryx used articulated patterns and gusseted underarms to solve this problem, leaving plenty of freedom of movement. 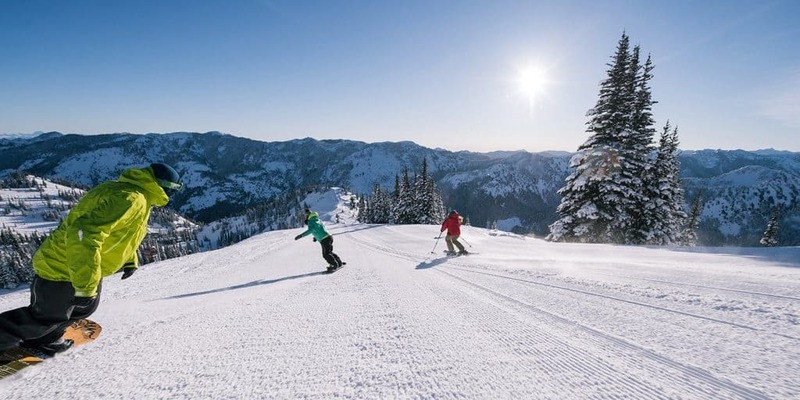 There are a lot of snowboarders and skiers who have exhausted having any fun in normal environments and thus look to the mountains to curb their thirst for adrenaline. This is fine, as long as the proper gear is used. 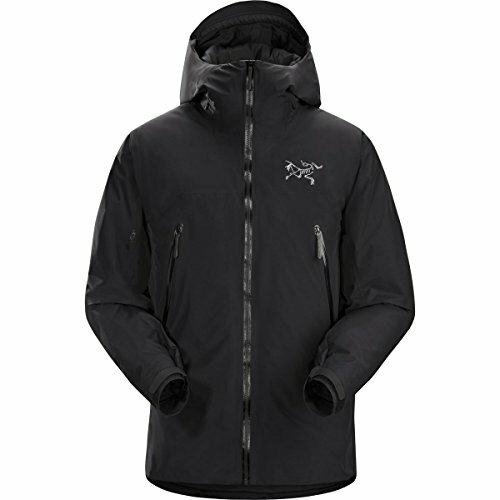 The Procline Comp jacket is a well-insulated product that specializes in mountainous terrain. Made with extreme alpinism conditions in mind, the Procline Comp features composite mapping Gore-Tex Infinium for optimum weather protection on the lower back, top of arms, and hood. The rest is constructed with breathable Fortius 1.0 softshell for maximum airflow. The seams of this well-crafted product are heavily taped to provide extra protection against water, as well as being treated with water repellent technology. The StormHood covers most of the head while keeping visibility intact and is helmet-compatible. Any skier or snowboarder knows how harsh weather conditions can get. Mountain riding or not, mother nature is strong and having the proper gear makes all the difference. 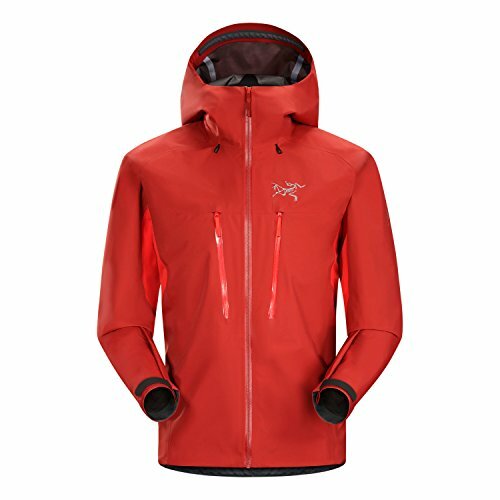 The Sidewinder is an answer from Arcteryx to the problem of tackling smooth rides in wet and stormy conditions. First of all, the Sidewinder is completely waterproof. Water simply can’t get in. This is not new in the world of jacket design but the Sidewinder also remains breathable without sacrificing durability, all the while keeping rain and snow at bay. Using Gore-Tex technology, combined with the versatility and effectiveness of a durable water repellent finish, this design really has a lot going for it on the outside. As far as the inside, this jacket performs well as far as thermal performance is concerned, keeping wearers warm and insulated. The side and chest pockets on the Sidewinder are highly water-resistant with WaterTight external zippers. A fourth and fifth zipper, both internal, provide even more storage room and a surprising sixth pocket, a sleeve pocket, might come in handy on daily rides. 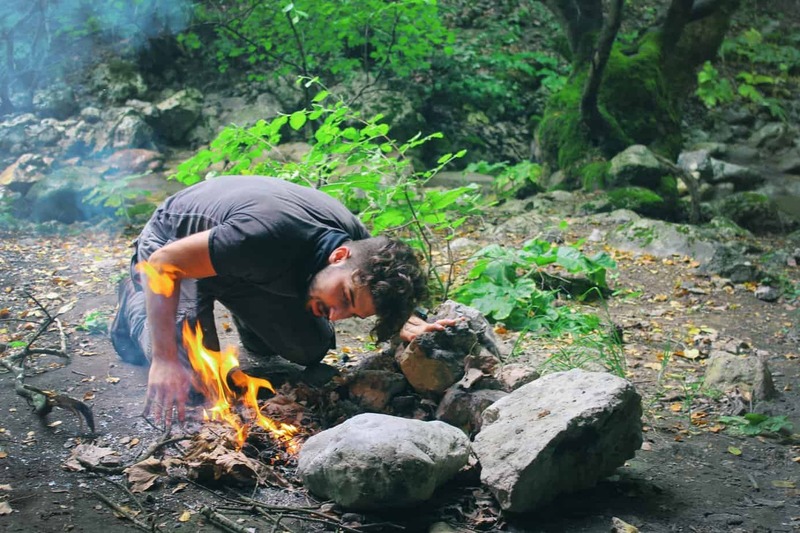 Some people, especially those who love the adrenaline-packed atmosphere of the outdoors, just can’t get that adrenaline rush they crave without a little risk. Such is the risk when it comes to mountain climbing. Few sports offer such stellar views while providing such a work-out. Climbers, though, need the best of the best. Protection from rain, snow, and the bitter cold altogether is critical to both comfort and survival. Here are our top picks from Arcteryx for climbing jackets. Strong weather conditions call for a strong, multi-layer jacket, and the Alpha SV might be the perfect jacket to meet that requirement. Made with Gore-Tex Pro, a technology using three-layer construction, the Alpha SV is intended to stand up to the strongest alpinism conditions. Because of its design using Gore-Tex Pro, the Alpha SV is waterproof, windproof, and breathable, along with being durable and abrasion resistant. The hood has a laminated brim, is helmet-compatible, and ease-of-use allows even large mittens to adjust the hood settings. The Alpha SV will not hinder movement thanks to the patterned articulation and, as seen in many Arcteryx designs, gusseted underarms. The WaterTight zippers on the pockets will protect most gear but if said gear is extremely sensitive to water, it might be best to leave such items at camp. A robust and comfortable jacket with insulation that self-regulates to prevent overheating sounds like something out of the future. 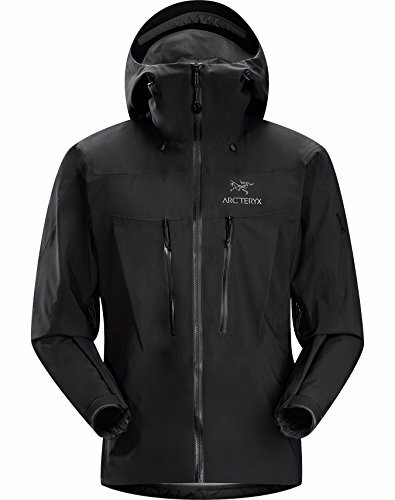 Thanks to Arcteryx and their Proton AR hoody design, the future is now. The advanced insulation of the Proton AR works because the jacket can perform well as both a mid-layer and a softshell, meaning it provides critical thermal protection while allowing air to move freely in and out, thus preventing overheating. Equipped with two side pockets and two chest pockets, this jacket won’t hold everything but will provide plenty of options for most skiers and snowboarders. The hood will please most, as it offers plenty of protection without sacrificing field of vision, although it does tend to ride high. The Proton AR isn’t waterproof but it is water-resistant and, because of the man-made synthetics in the material used, it dries very quickly. It may not be the best fit for intense snowy conditions but a little precipitation won’t hurt. Perfect for those that seek smooth climbs through decent weather. For some climbers out there, insulation is everything, and rightfully so. Frostbite can hit fast and be ill-prepared can cost lives. The Nuclei AR, with its Coreloft 100 insulation and quilted inside, will keep climbers warm and comfortable despite howling winds and blizzards. Along with the warm, quilted inside, the outside of the Nuclei AR is constructed with fully seam-taped Gore Thermium, which is water-resistant, windproof and highly breathable. The hood is completely helmet-compatible and leaves plenty of open space as to not impair vision. The two side-pockets are sealed tight with WaterTight zippers to keep items dry and away from the elements and on the inside, hidden away, is a soft mesh pocket that is easily accessible. Perfect for phones, lighters, anything portable. Also included with the jacket is a mini stuff-sack with drawstring. 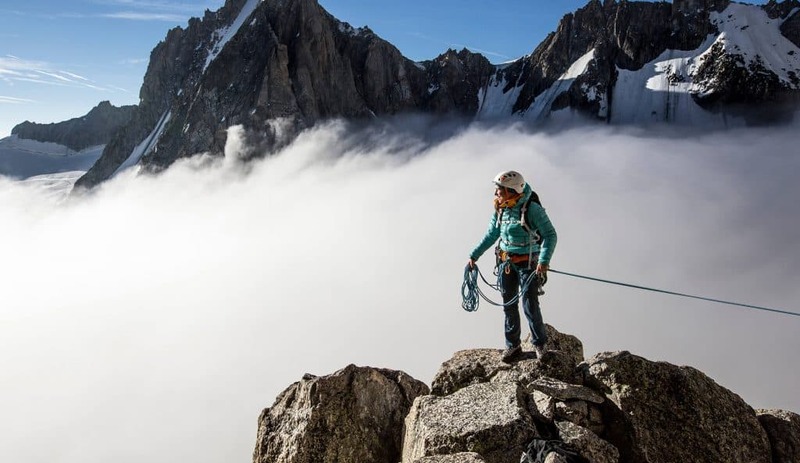 Some climbers jump at the chance to climb higher and higher, inevitably leading to colder and colder temperatures. Where the altitude is thin, a jacket should be thick, or the elements might prove too intense. The next jacket on our list aims to help that. Perhaps the most rugged and thickest item mentioned so far is the Dually Belay Parka, a non-bulky option for maximum insulation and weather protection. 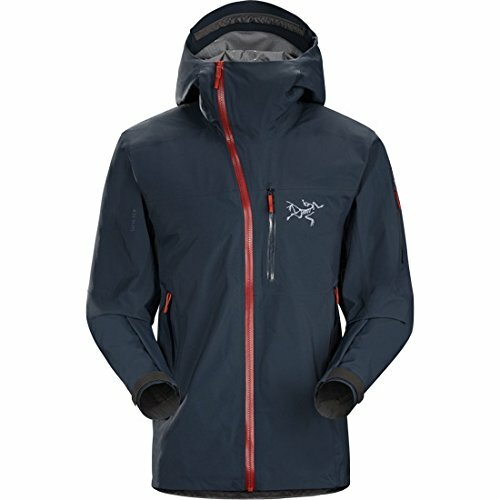 This jacket features two layers of quality ThermaTek insulation making it stand up to strong winds and cold, bitter storms, even on the toughest mountains. The Belay Parka fits securely to the body to make mobility as easy as possible, a must in harrowing mountain climbs. Possibly the most advanced hood design on our list, the Belay Parka sports a hood that rotates when and where you do to truly keep the field of vision clear and distraction-free. It is helmet-compatible and the lean visor will block rain and snow.